"AllBrands is a Brother Authorized Dealer and ASC Authorized Service Center for warranty repairs. We give unlimited tech support by email, fax, phone, text and cell, plus service in our shop and referral to nearest ASC. This is a premium service that mass merchants can't offer, as they simply don't have the tech service or repair departments for your equipment. They are unable to help you directly, only referring your operational, mechanical or electronic questions back to Brother customer service desk—not their mechanics—instead of taking care of the problems themselves. Brother and customers should expect that any problems you might have will be taken care of by the dealer who sold you the equipment, not simply by referring your requests back to the manufacturer, and this is something we guarantee on our Brother machines." 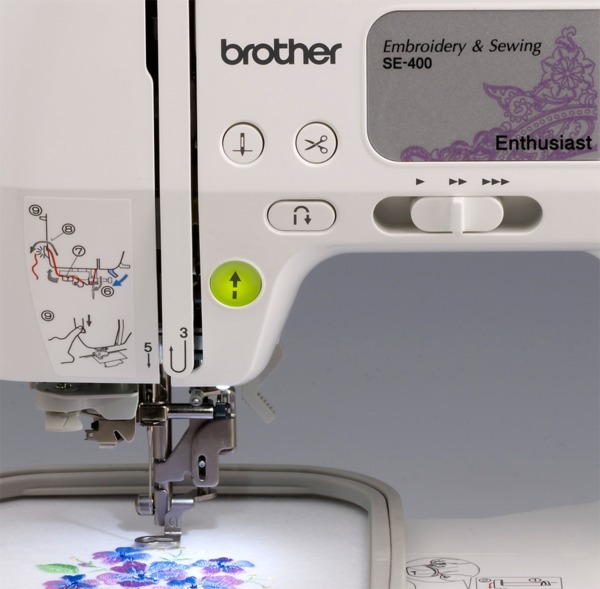 The computerized SE-400 combination embroidery and sewing machine is designed to help you give your projects a customized, high-end look—all while being priced to fit your budget! 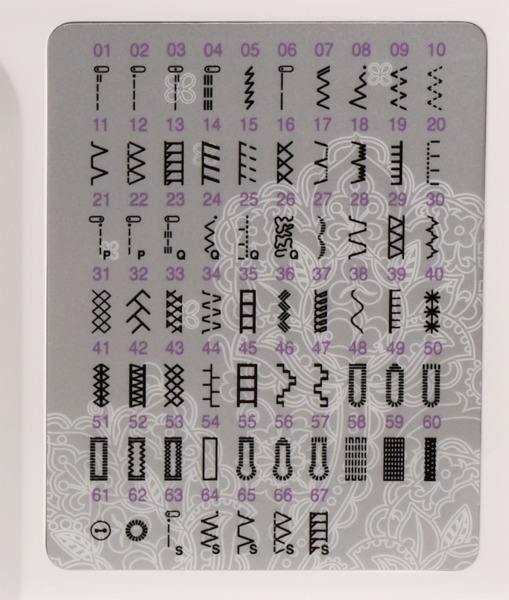 Featuring 70 built-in embroidery designs, 67 built-in sewing stitches, 120 frame pattern combinations and 5 embroidery lettering fonts, the SE-400 is the perfect machine for all your sewing, embroidery, crafting and home décor projects. Computer connectivity allows you to easily import embroidery designs directly from your computer. 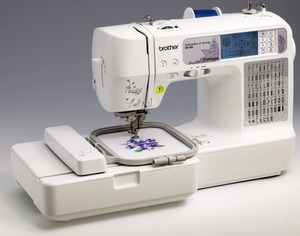 Features like the automatic needle threading system and backlit touch screen LCD make working on the machine easy on your eyes, while the Quick-SetTM drop-in top bobbin, easy bobbin-winding system and built-in push-button thread cutter add a new level of convenience to your sewing and embroidery crafting. With an impressive assortment of included accessories, the SE-400 is truly an affordable, feature-rich choice for the budding fashion designer. Computer connectivity - Import designs and download machine updates from Brother. Computer Connectivity, USB Port & Cable to Transfer Designs from Your Computer, or to Update the Main PC Board to Latest Version number with Free Downloads from BrotherSolutions.com website. The computerized SE-400 combination embroidery and sewing machine is designed to help you give your projects a customized, high-end look -- all while being priced to fit your budget! Featuring 70 built-in embroidery designs, 67 built-in sewing stitches, 120 frame pattern combinations and 5 embroidery lettering fonts, the SE-400 is the perfect machine for all your sewing, embroidery, crafting and home décor projects. Computer connectivity allows you to enjoy future machine updates and easily import and digitize embroidery designs directly from your computer. Features like the automatic needle threading system and backlit touch screen LCD make working on the machine easy on your eyes, while the Quick-Set™ drop-in top bobbin, easy bobbin-winding system and built-in push-button thread cutter add a new level of convenience to your sewing and embroidery crafting. With an impressive assortment of included accessories, the SE-400 is truly an affordable, feature-rich choice for the budding fashion designer. 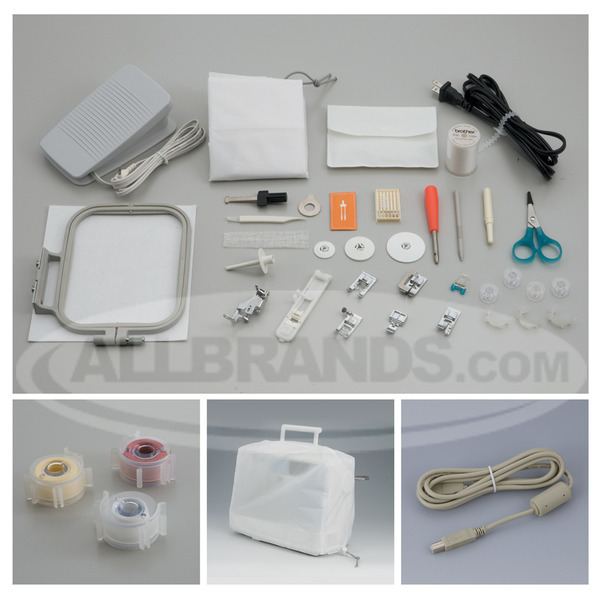 Embroidery Unit and Free Motion Foot is attached to start Embroidering. Slide off the Embroidery Unit and attach the Sewing Foot to Start Sewing. 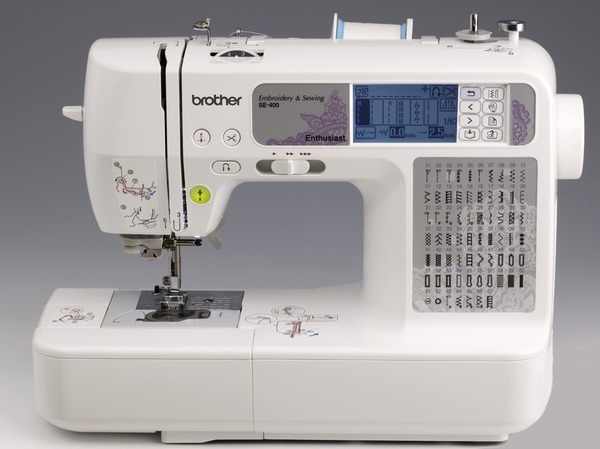 The SE400 includes 67 Built in Sewing stitches including one step buttonhole and eyelet. How to transfer .pes files to embroidery machine. 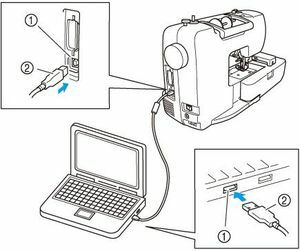 Brother International Corporation has developed and posted solutions for Frequently Asked Questions (FAQs) related to the Brother SE-400 Computerized Potable Sewing and Embroidery Machine. We hope you find this information helpful. Click Here to learn how to retrieve a specific embroidery pattern from the computer. When creating a design using PR-Design (PE-Design, PE-Design Lite or PE-Basic), Click Here to learn what Design Page Size is for your machine. Click Here for embroidery tips. Lubrication is not necessary on the SE-400. Do not attempt to oil the machine in any area. Click here to download a copy of the Brother SE400 User's Guide. I absolutely love my new machine and will be ordering from the company again. I have ordered items from All Brands before, and will continue to do so. The quality, price, and speed of shipment are all excellent. I was thrilled especially with the speed of the shipment. I'll definitely check allbrands.com before I make any other purchase. Thanks so much. So far I am very satisfied with the performance of the machine. Ordering from you is easy and speedy and your prices are very good. That is why my friend, A friend recommended I order from you. 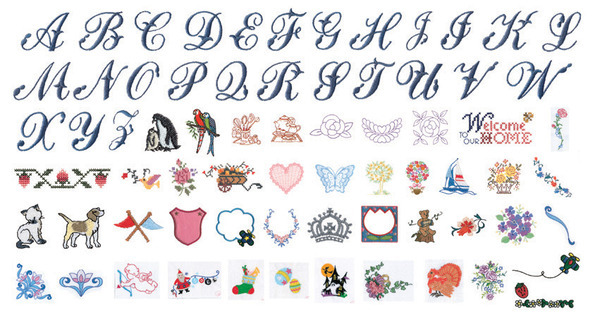 Am looking at ordering some software for working with embroidery patterns from you. This is the third sewing machine I have purchased from Allbrands.com. About 6 years ago I brought my first Reliable Barracuda..it performs so well, a while ago I brought another one. 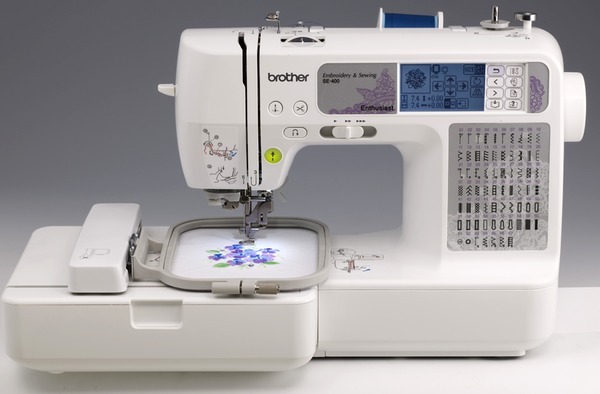 Just recently I brought a Brother Embroidery SE-400. All three are great machines & I use them in my business of making teddy bears everyday. I have recommended your site to several people. Thank you for your great service. Very efficient service when I placed my order by telephone. I would have ordered online, but I had a couple of questions regarding accessories I might need. Items were shipped and received quickly. The only improvement I could suggest is that instructions be given as to how to access the free software received as part of the package purchased. Thank You for a great embroidery sewing machine at a affordable price !!!!! This is not my first purchase from you. I have always been very satisfied with your service and speed of shipment. The machine was well packaged and arrived in a timely manner. Thank you for being there when I needed something in a hurry. It is much easier to shop on line if you know what you want than to go out and search the stores and then find that they do not have what you are looking for. This was a replacement for a machine that I have that froze up on me. I think it was cheaper to replace, or at least quicker, than to get it fixed. Again thanks.